When I first heard about this coming out, I knew I had to have it. Ever since I dabbled with Sleek blushes, I have been a bit of a blush fiend. Looking at my growing blush collection, I would 90% of it consists of blushes from Sleek. This is because the quality of these blushes are above that of the average blush you find in a drugstore/pharmacy. This lovely trio is no exception. 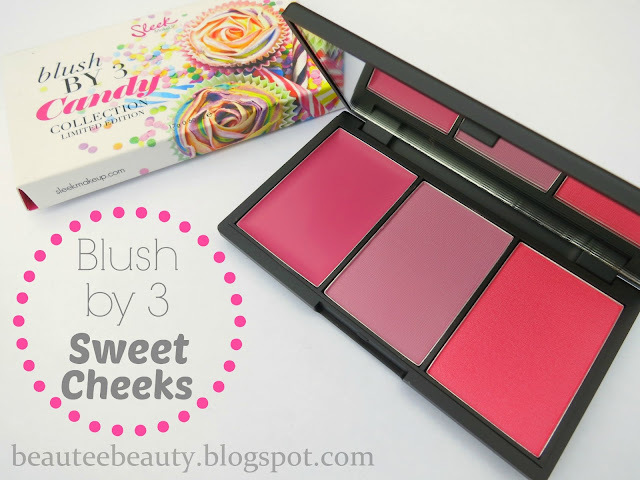 This limited edition blush trio is part of the Candy Collection released by Sleek on the 5th of June 2013. I went bright and early to my nearest Superdrug the day it was released and happily brought one of this to the counter to pay. I am not sure how long it will be sold in stores and online, though. The other makeup items that complete this collection are an eye shadow palette (i-Divine i-Candy eye shadow palette) and a lip paint (Pout Paint in Lol-Lip-Pop). Sweet Cheeks was the only item that appealed to me out of the whole collection mainly because I am not one who wears bright eye shadow colours (the palette in this collection has some pretty brights if that's up your street), and the lip paint is a bubblegum pink- a colour which I already own in a few lip products. Packaging: This palette comes in the standard black matte casing similar to that of other Sleek products. I like the packaging as it is sleek, classy, luxurious-looking and slim, making it easy to carry around- plus it looks nice. The word 'Sleek' is embossed in glossy writing on the top of the case, adding a nice touch to the overall feel. I also like how the packaging maximises the space inside the palette- no extra space is taken up to include a brush in the palette, which does not bother me as I much prefer to use my own makeup brushes. I would take having more product over a free brush included any day. Hee! The clasp opening also clicks nicely and is neither too loose or too tight, enabling me to open the product with ease. My only complaint about the packaging is that because the casing is matte, fingerprints, water marks, scratches or dirt can easily be seen (I find this applies to all my Sleek products in this same type of casing), but as I am not one who is too bothered by packaging, I have gotten over this. 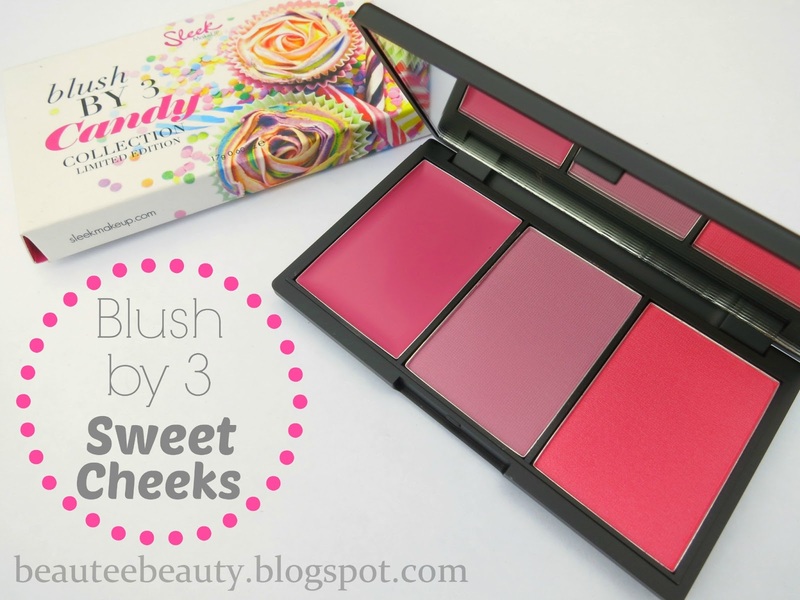 Sweet Cheeks consists of three different blushes with three different types of textures/finishes. If I am not mistaken, this is the first time that Sleek has come up with a cream formulated blush! Cupcake: A bright pink/red shade with blue undertones. Has a slight shimmer to it and is of cream formulation. Gives a slight dewy finish. Dolly Mix: A very light pink shade which borders on being lilac- has rather cool blue undertones. It has a matte finish and is a powder blush. Candy Floss: A bright pink-almost-red shade with yellow undertones. It had very tiny gold shimmer in it, giving it a shimmer finish; it is also a powder blush. Durability: Both Dolly Mix and Candy Floss lasted on my cheeks for a good 5-6 hours without primer before fading completely. Cupcake (the cream blush) however, lasted for about 4 hours without a primer before completely fading away. I do realise that cream blushes tend not to last as long on my skin compared to powder blushes- it must have something to do with my combination skin. I suspect Cupcake would last longer on those with dry skin. I was drawn to this palette because it contains blush shades that I normally do not go for, and I thought it would be a good way to step out of my comfort zone and try new different shades. When blended out well, all three shades look gorgeous, including Dolly Mix which gives the slightest hint of light pink and lilac. I was a bit intimidated by Candy Floss as it is a rather strong pink-red leaning on the bright side, but my fears were put to rest when I applied it on my cheeks- it gives me that healthy flushed look I get after I have gone for a jog and feel all hyped up, which I really like. Cupcake also gives a pretty pink flush, and its added dewiness gives a pretty glow to the face which the powder blushes do not provide. Would I repurchase this?- Yes I would. 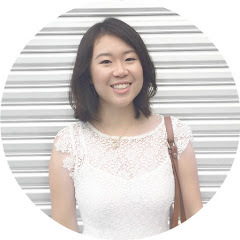 It is really good value for money because I get a lot of product, the quality is beyond average and the colours are really pretty and versatile. However, I do not think I will be repurchasing it only because I can foresee this palette itself lasting me a long, long time. Where can I purchase this?- You can find this in selected Superdrug stores in the UK. If you are not living in the UK or prefer to purchase it online, you can do so HERE. If you are interested, snap it up soon as it is limited edition! I actually bought this today! :) Along with the Collection colour match foundation. Anyway, I absolutely love this. I was too busy to get it before and was worried I wouldn't get my hands on it, but I got it today! I love the look of Candyfloss it is so pretty! This palette is so lovely and such great value.